Women aren't necessarily better than men, but men and women on boards together make better decisions that lead to higher returns, according to a new study on the impact of women on the boards of mining companies. As a matter of good governance, Amanda van Dyke, chair of Women in Mining (UK), analyzed the performance of companies open to new ideas, including moving beyond the old boys' network, and found that they excelled in profitmaking, environmental and social sustainability, and a host of other factors. Imagine, she challenges shareholders in this interview with The Mining Report, how much more you could make on your investments if a critical mass of the talented and best women in the industry made it to the top. The Mining Report: Amanda, you are the chair of Women in Mining, a group that recently published with PwC part three of a "Mining for Talent" report studying the impact of gender diversity on boards of mining companies. It looks as if the presence of women decision makers is a positive one. How did you evaluate the performance for the companies and what did you find? Amanda van Dyke: We took the top 500 mining companies by market capitalization and counted the number of women on their boards. Then we evaluated the companies based on 75 different metrics, including profitability and return on capital. We compared the results to the number of women on their boards and came up with a comparison of how companies with women on their boards did versus companies without women on their boards. TMR: Why would that be relevant to investors? AVD: Women in leadership positions have been correlated to better profitability overall, better return on capital, lower risk and better environmental social and governance management. Our findings show that despite the fact that there are considerably fewer women on mining boards, 7.9% actually in the top 500 mining companies, those women made a huge difference to how those companies performed. 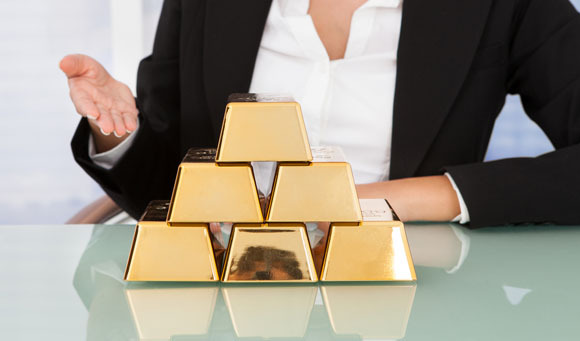 Over three years, we found that mining companies with women on their boards approximately doubled the return on capital employed, enterprise value/reserves and dividend yield compared to companies that had no women on their board. Actually the earnings per share were 13 times higher for companies that included women. The real winner is the shareholder. There's no question about it. TMR: Over the three years, did the percentage of women on boards increase, decrease or stay the same? AVD: It went from about 5% to 8% overall, which is a good result, but still far lower than any other industry and lower than what's considered optimal. An average of 25% to 30% has been shown to be the tipping point where you get the best benefits from women on boards. The results that I just gave you are with 8% women on boards. Can you imagine how high they would be if a critical mass of women were in a position to contribute? That being said I have to be careful to caveat that just any woman on a board is not going to make a company perform better. By definition if you are picking on merit and you double the number of people available for a job, you are going to get better talent. With overall better talent comes better performance. Affirmative action, quotas vis a vis women on boards don't work, as can be seen by how badly Norwegian companies with their 40% quota have performed. TMR: You talked about all the different metrics that you measured and we discussed profitability. What about some of the other measurements, like community relations and environmental compliance? Was there a difference seen there? AVD: Yes, and it was significant. Things like environment management, community programs, clean water, all of the things that really matter to the communities where mines exist, get much more attention when women are on the board or in management positions. Women tend to have a better understanding of the fact that the operations of mining and exploration go far beyond just drilling holes in the ground. Miners work in communities with governments, environmentalists, non-governmental organizations (NGOs), and all of those peoples' needs and wants have to be managed. When you don't, you have costly delays. Environmental, social and governance scores showed that companies with two or more women on the board had almost double the scores for companies with no women on the board. It's really impressive. On a consistent basis women make a positive difference in a company's sustainability performance. Surely by now board diversity would be best practice, but the problem in the mining industry is that it's very homogenous. It is largely an old boys' club of people from similar backgrounds and similar schools that have come up through the mining industry and they don't take on outside best practice management techniques. That is why we need fresh blood, from not just women but overall, in order to bring more innovative thinking into the mining industry. This is not a case of women being smarter or better, but putting them on boards and on management teams adds new and balanced perspectives, which allows boards to make better decisions. That's the difference. TMR: You mentioned women in management roles. Are you finding that more women are CEOs, COOs and CFOs of mining companies and is that making a difference? AVD: It is. When it comes to both boards and executive positions, the larger companies have embraced female executive managers first. There seem to be more CFO positions followed by legal, HR and Sustainability on the existing boards. Very few CEOs and chairmen. It seems to have been recognized that women tend to be very good guardians of cash. The other thing that women bring to management teams is they're not scared of questioning things. They are the first to put up their hands and question doing something just because that is how the company has always done it. Someone who asks why and makes managers justify their decisions at a company level is going to be the person who pushes the company toward making better decisions. One of the things that women are associated with is higher enterprise value to reserves. That is a measure of the market valuing a company compared to the theoretical dollar value of resource it has; it's a way of comparing apples to apples in the mining industry. Similar to other metrics, that was about double for companies with women in key positions. This shows that the market is not necessarily consciously valuing companies with women on their boards higher than those without. A company can't just be running efficiently; it has to be seen as delivering value to shareholders for running a company efficiently. That's where women seem to be very helpful. TMR: The issue of including women in mining companies has been discussed for more than a decade. Why has it been such a challenge? AVD: The initial reason that most men said is that there simply wasn't enough talent. There weren't enough women engineers and geologists to bring women on in mining. Our analysis has proven that to be incredibly incorrect. Over 50% of geology graduates are female. That holds across countries. And realistically, the modern mine has so many more roles than just geology and mining engineering. Project management, finance management, stakeholder management, the business of mining is much bigger than geology. Actually there are some that say that the business of management needs more attention because that's what ensures shareholder returns. In that sense there are just as many qualified women as there are men for the majority of positions required on a modern mine from the bottom to the top. TMR: You've been studying this issue for three years; have any companies successfully put in place incentives or programs to bring women into these positions? AVD: Our sponsors support us as an extension of the fact that they already heavily support women. We've outlined in the report a number of ways that companies can encourage more women to move up the ranks and onto boards. It's actually not that hard. The problem is that you have to convince the people that run the mining companies right now that it's within their interest to more actively recruit women and keep women. That is the biggest problem. Mining companies are male dominated. Over 90% of the people who work in mining are male. People tend to hire people who are like them. Actively seeing what the value is in recruiting women has been hard. It's the corporate culture that is holding women back the most. What we're trying to do is convince mining companies that if they change the corporate culture, they will see better results. The business case is pretty absolute at this point. We're hoping that this series of three reports will actively sell the business case to the mining industry to get it to embrace the idea of including more women. TMR: You are a woman in mining; what has the experience been like for you? How did you get interested in the field? Were your challenges different than the challenges that men face? AVD: I'm not sure if my challenges have been different from the challenges men faced. I started in gemology, diamonds, rubies, emeralds, etc. There are a lot of women in the world of precious rocks. Then pursued a business degree and then started working in a brokerage house that naturally gravitated toward mining. I don't think the people in the mining industry are actually sexist. It's just male dominated and habits of a lifetime are hard to break. When a woman walks in, they are surprised to see her talking about mining, selling mines or analyzing mines. But once one proves one's worth, miners are very practical people and they embrace whatever helps them. It's just getting them past the initial hesitation and helping them see that there is value in a woman's perspective. That takes some convincing, but I don't think it is impossible. What the industry needs most is more promotion and more understanding of the fact that over and above just merit—and we don't suggest that women should get ahead on anything other than merit—there is innate value in diversity. To be very clear, that doesn't mean that women are better than men. What it means is that putting women and men together is better than just women or just men on their own. Together they make better decisions. There's a huge amount of evidence to support that. Ultimately it is my belief that the lack of women on boards in mining are a symptom rather than the disease. The disease is bad governance, especially in junior mining. Boards are there to protect shareholders' interests, not management's interests. The time of good old boys' clubs needs to go. Boards represent and prioritize shareholders' interests and best practice governance, and one of the indicators of enlightened governance is the presence of women on the board. Mining company shareholders need to actively demand better governance generally beyond just hiring and promoting women. One reason, beyond weak commodity prices, that mining companies trade at multiples far lower than other industries is that investors have lost confidence in the management of mining companies to deliver results. On average, producing mining companies trade at a 5x price-earnings ratio while tech companies trade at 15–20x. I truly believe that shareholders actively demanding better governance from their mining companies and the better results that go with better governance can help turn the mining industry around. And one of the many things better governance includes is women. TMR: Thank you for your insights. Amanda van Dyke is managing director, Europe for Palisade Capital. Palisade Capital is an offshore merchant banking group that invests principal capital with a focus in the natural resource sector. It strategically supports its investments by applying bespoke business development strategies specific to junior resource companies. She worked previously for Dundee Securities, Ocean Equities and GMP as a mining specialist in equity sales, and has raised more than $500M in mining-related financing. She worked as a gemologist before getting a master's degree in business administration and a master's degree in international economics from SDA Bocconi. Van Dyke is also the executive chairman of Women in Mining UK, sponsored by Rio Tinto, Anglo American and Glencore.